The reliable Survivair PANTHER includes a unique adapter which allows the wearer to install and remove the regulator With ease. 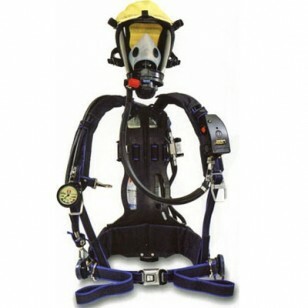 The "First Breath On" regulator allows activation of the SCBA Without free flow. The included whistle alarm system can be heard above other loud noises. The weight of the Survivair PANTHER is evenly distributed over the hips With the ergonomically correct MightyLight backpack that features NOMEX/KEVLAR straps and the WedgeLock system for fast disassembly or assembly of the unit Without tools. The PANTHER SCBA by Survivair is a quality SCBA you can depend on. Configured unit includes: Twenty-Twenty Plus facepiece, 4,500 psig, 30-minute, carbon cylinder Without locking collar, the COMPASS integrated PASS device and Over-the-shoulder buddy breather With SAR check valve.